Home » News » What a Fantastic Week We’ve Had! 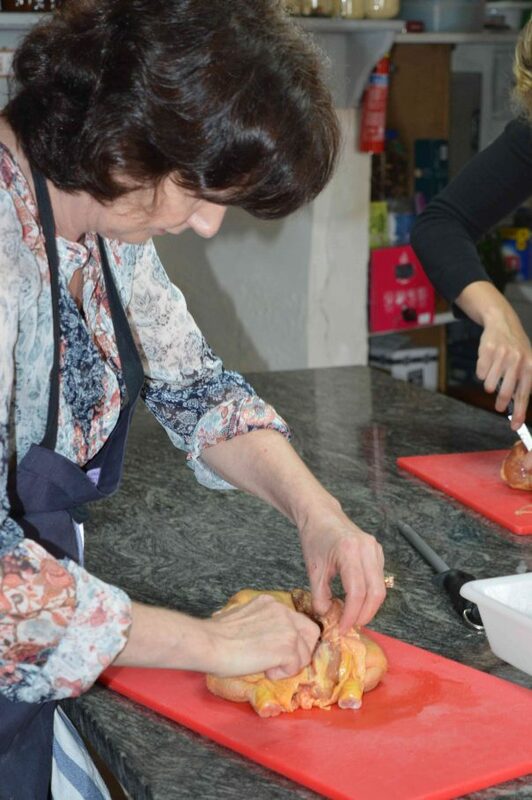 The Gascony Cookery School is in full swing, with another Foundation Cookery Course 1 being successfully completed last week. There was a distinctly Celtic ambiance with students from Northern Ireland and Scotland creating some wonderful dishes, including ballotine of chicken. 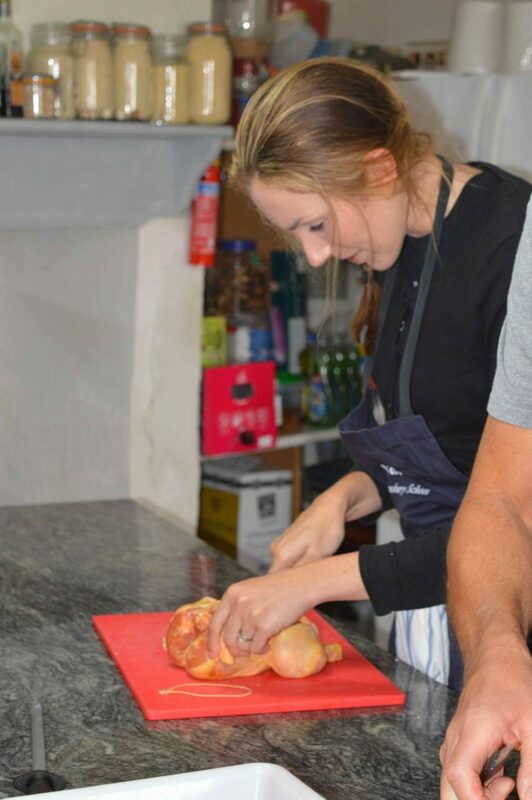 Although this term usually refers to a boned and stuffed chicken thigh, at the Gascony Cookery School students learn to bone and stuff a whole chicken. Once this is mastered, the technique can be used on any fowl including Guinea fowl, duck etc. After the bird has been completely deboned (without damaging the skin!) it is stuffed with the meat removed from the bones, to which can be added some minced pork and of course “secret herbs and spices”! The whole composition is then tightly wrapped in aluminium foil, ready for roasting. 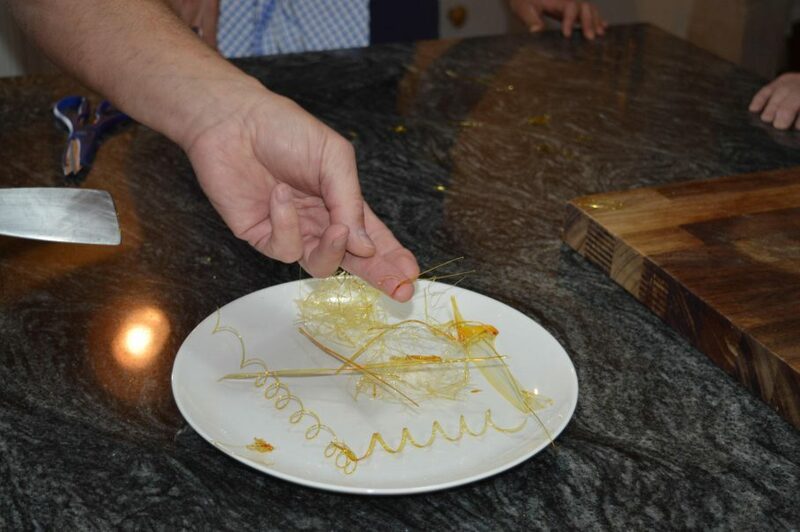 Among the other skills imparted during the Foundation Course are sugar decorations, one of the most visually appealing dessert skills, and very useful for impressing dinner party guests! If you’d like to join us on one of our courses, we have limited availability for the remaining courses this year so check them out here….